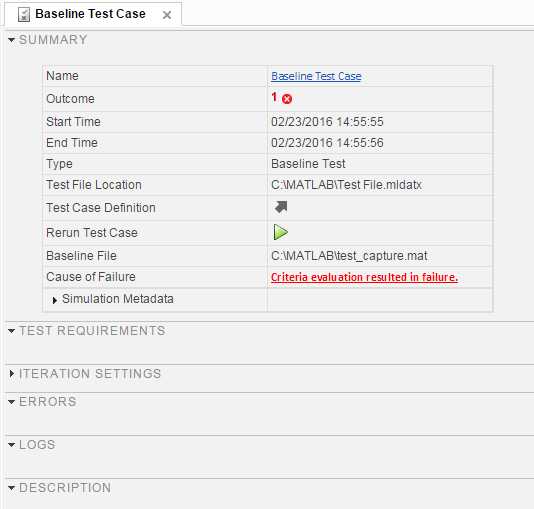 After a test case has finished running in the Test Manager, the test case result becomes available in the Results and Artifacts pane. Test results are organized in the same hierarchy as the test file, test suite, and test cases that were run from the Test Browser pane. 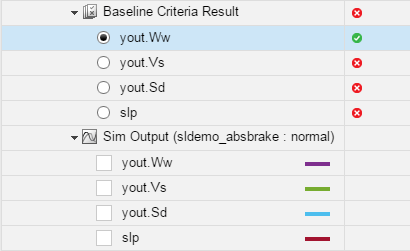 In addition, the Results and Artifacts pane shows the criteria results and simulation output, if applicable to the test case. Select the Results and Artifacts pane. Double-click a test case result. A tab opens containing the test case results information. 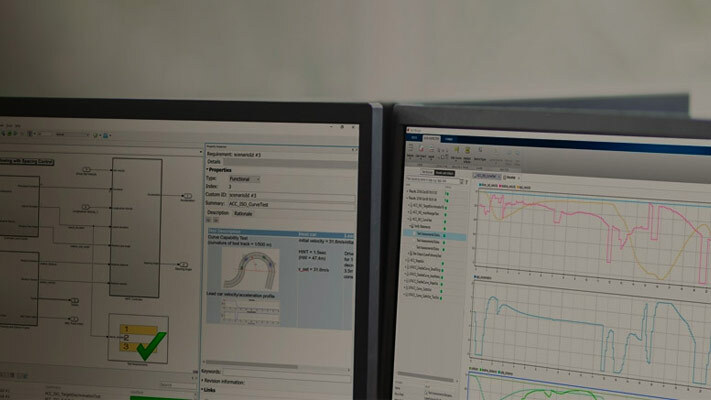 You can view signal data from simulation output or comparisons of signal data used in baseline or equivalence criteria. 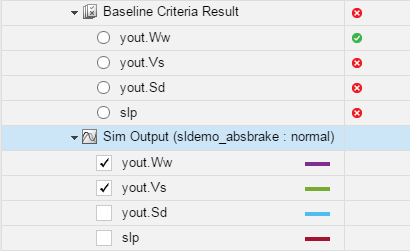 Expand the Sim Output section of the test case result. Select the check box of signals you want to plot. The Visualize tab appears and plots the signals. Expand the Baseline Criteria Result or Equivalence Criteria Result section of the test case result. 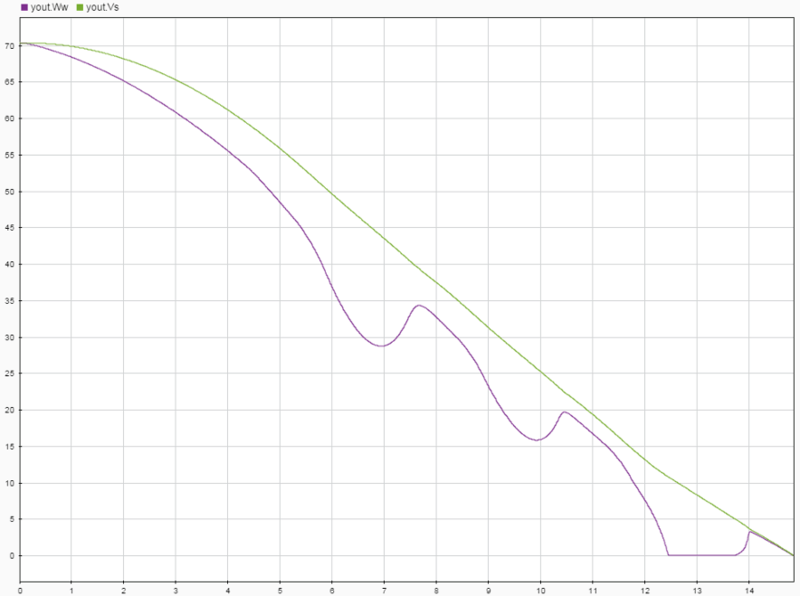 Select the option button of the signal comparison you want to plot. 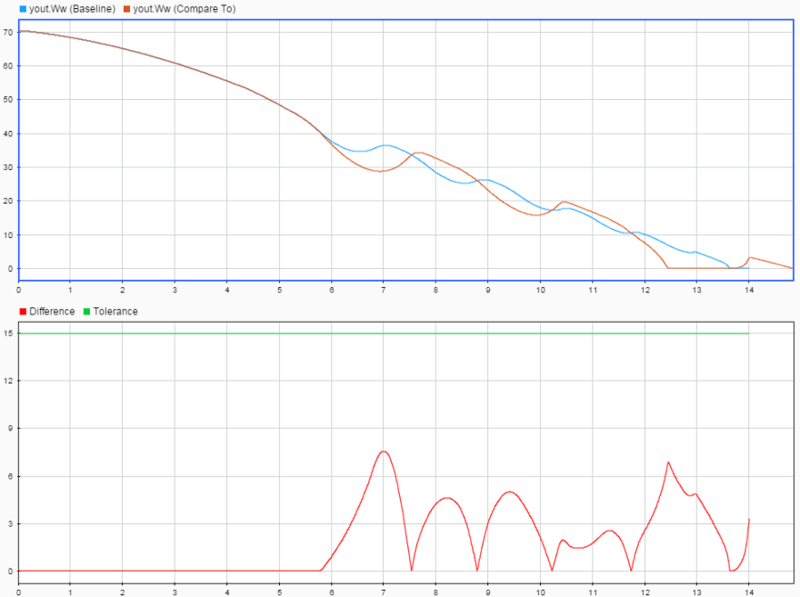 The Comparison tab appears and plots the signal comparison. To see an example of creating a test case and viewing the results, see Compare Model Output To Baseline Data. When you run a test multiple times, by default the new signals are added to the plot from previous test runs. To instead overwrite the plots with only the new results, right-click Sim Output and select Plot Signals > Overwrite.